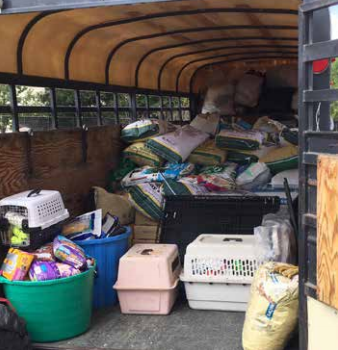 I’m so grateful to have been able to help our community come together and donate supplies to Forgotten Horses Rescue! Because of our hard work and donations, we were able to directly help victims of Hurricane Harvey’s devastation in Texas. 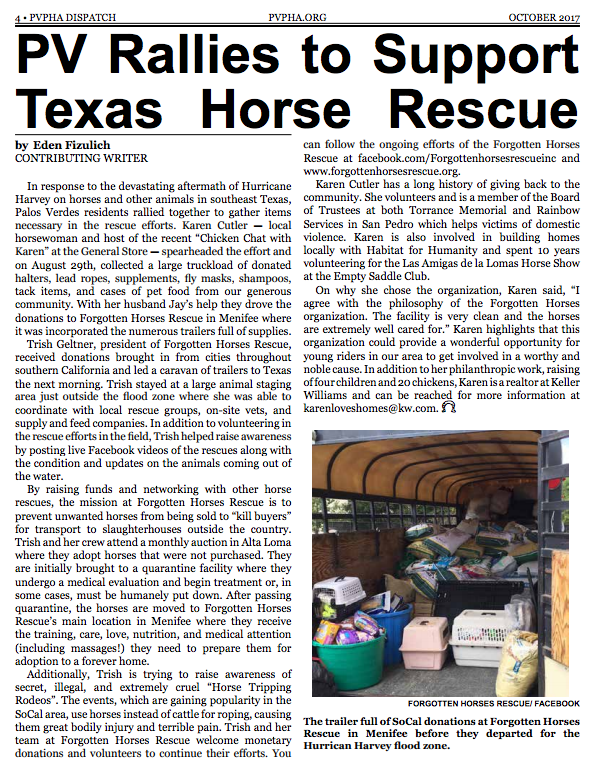 It was an amazing experience to partner with such a wonderful organization, and I’m humbled that our efforts were featured in the Palos Verdes Peninsula Horsemen’s Association Dispatch. Proud to be a part of such a fantastic community, and grateful for all the support and love you share!